Thank you for visiting my astronomy-based website. I hope as you explore the site you’ll enjoy seeing some of the wonders of the heavens, as well as finding out about where and how you can learn more. The site (which is still in development) is split into three parts. Throughout the site, underlined text links to further information. 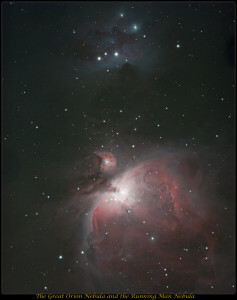 I am currently doing a degree in Observational Astronomy at the University of South Wales. The first part of this website relates to that – particularly lots of details about a field trip to Arizona in February. This includes a blog about the experience. All the photos are taken by either myself or my husband Mike. The second part contain photographs that I’ve taken and details of the objects photographed. Here’s an example to whet your appetite. For those of you interested in how I take the photos, I will include details of the equipment used and the processing techniques. I’ll be adding more as I take them, so keep checking back to see what’s current, and hopefully to see how my competence increases! The third part of the website relates to a Project I’m doing as part of my degree. 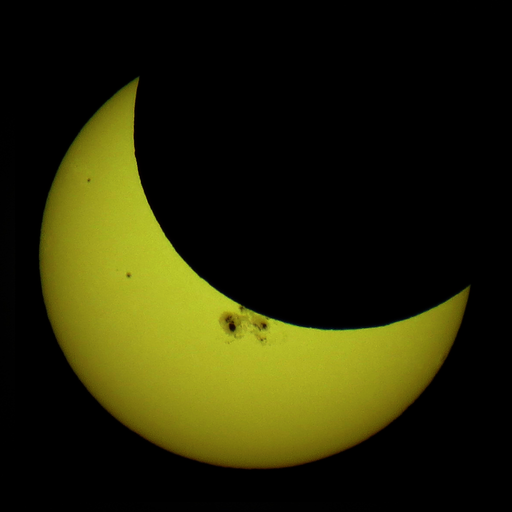 This involves designing resources for schools to use to study the partial solar eclipse visible from the UK on the morning of 20th March 2015. Many of the resources can be used more widely than at the eclipse too, so take a look.